Change things up with these side-trips from Corpus Christi: Rockport (Goose Island State Park, Fulton Mansion State Historic Site, & more), Goliad (Fannin Memorial Monument & Presidio La Bahia) and Port Aransas (Port Aransas Beach & Leonabelle Turnbull Birding Center). 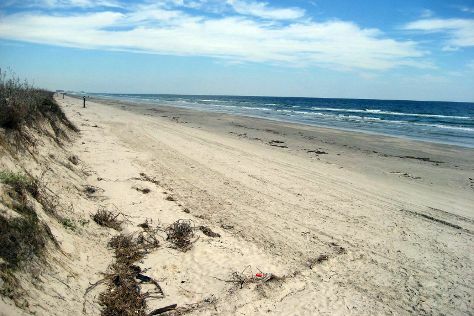 Spend the 19th (Tue) exploring nature at Padre Island National Seashore. There's still lots to do: deepen your knowledge of military history at USS LEXINGTON, meet the residents at Texas State Aquarium, ponder the design of Corpus Christi Watergardens, and look for all kinds of wild species at Aransas National Wildlife Refuge. To see reviews and other tourist information, read our Corpus Christi road trip planning website . In February, daily temperatures in Corpus Christi can reach 74°F, while at night they dip to 53°F. Cap off your sightseeing on the 22nd (Fri) early enough to travel back home.